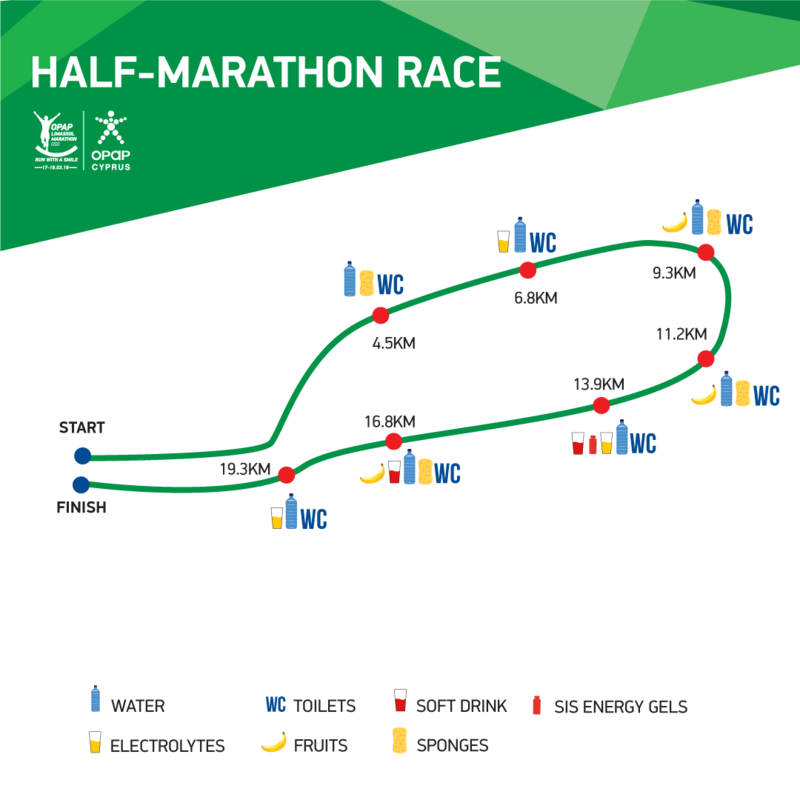 The Half Marathon Race will start at the Western End of Molos Park. With the gunshot, our Runners will head to the East, covering a distance of approximately 10KM with a destination the ruins of the Ancient City Kingdom of Amathus! Once at the Ancient Kingdom, our runners will turn to the West again for the final stretch of the race towards the Molos Park! 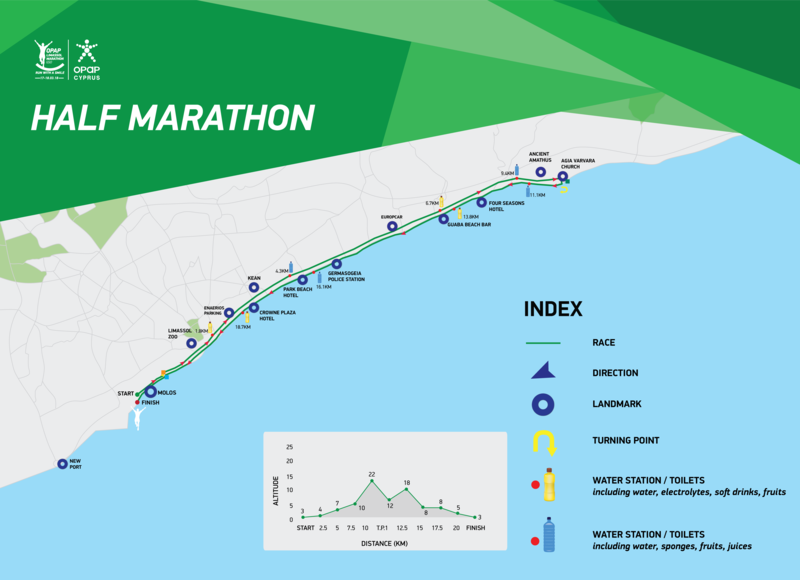 Throughout their journey, the Half Marathon Runners will run along the waves and will encounter some of the most emblematic landmarks of the city!